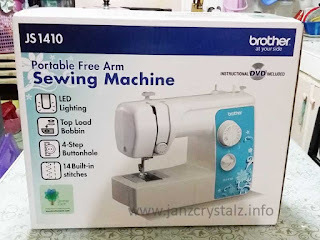 Every year since two years ago, I always listed sewing machine in my beginning of the year wish list. I really want it, but since it’s not a necessity, I always put it on hold, until last December when I already had a budget to purchase one. And I chose the the Brother JS-1410 Sewing Machine. 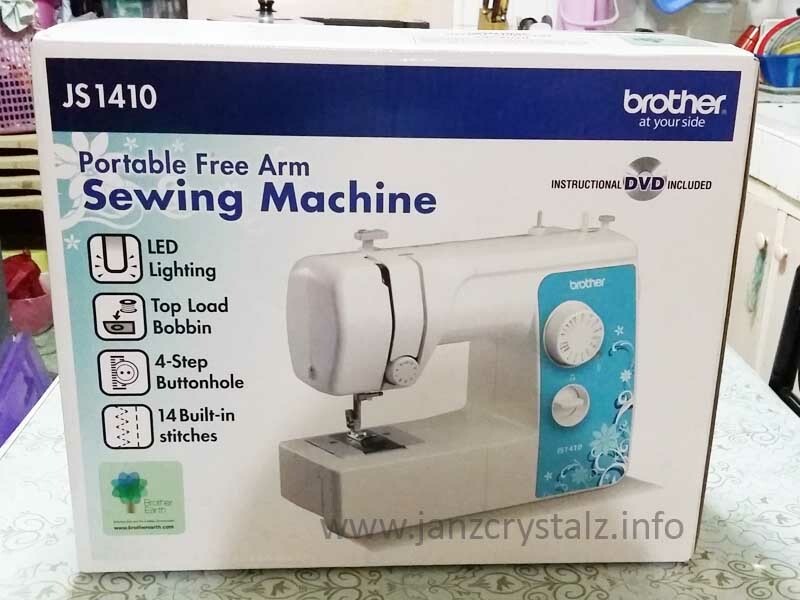 This portable free arm sewing machine features 14 built in stitches, top load bobbin, LED lighting and 4-step buttonhole and very light weight that allows you to carry it easily. Since Brother has great care to the environment, this product was designed to consume less power and energy saving. It’s a perfect choice for a person like me who has zero skill in sewing. 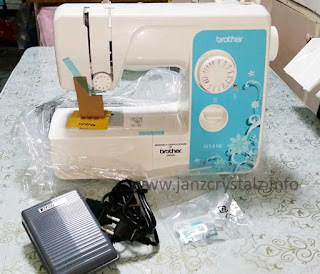 The Brother JS-1410 Sewing Machine comes with 1pc buttonhole “A”, 1 pc zigzag foot "J", 1 pc zipper foot “I”, 4 pcs bobbins, needle set, screw diver, foot controller and an instructional dvd. It took me another 3 months after purchase to finally use it. But before that I have to watch the instructional video over and over again to familiarize myself with the equipment. Thinking what my first project will be, hubby told me to sew a bed foam cover. The queen size foam needs a new dress since the original one was already very untidy, considering how the kids play, jump and sleep on it. I don’t have much time to visit the fabric store, so it was hubby who chose and bought the fabric for my first sewing project. 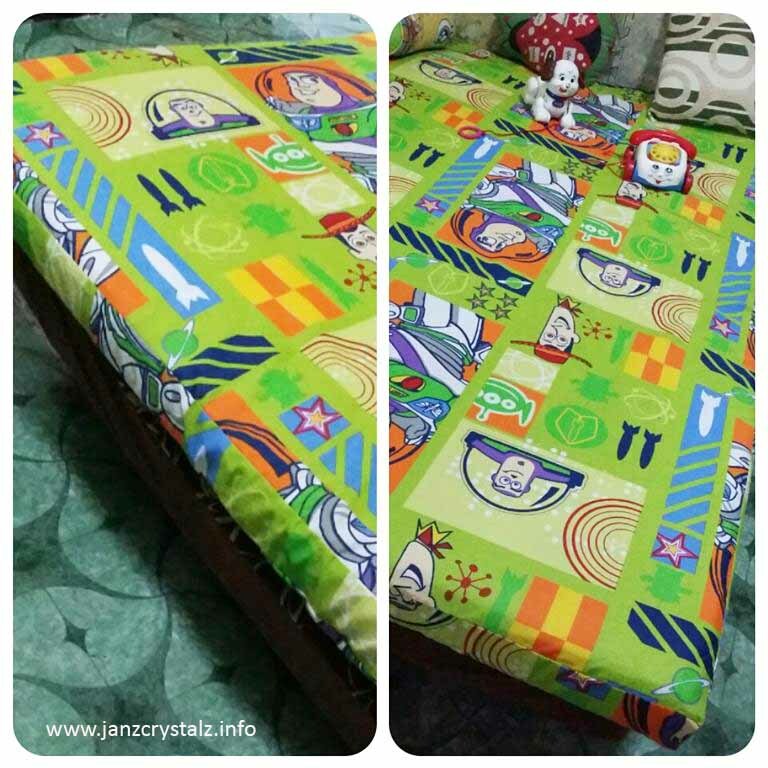 He chose a cartoon designed fabric intended for bed sheets and bed cover, hence, the wider width. I had to measure the foam carefully and repeatedly to get the exact dimension before cutting the fabric. After cutting them, I was anxious yet ready to hit the sewing machine for the first time. I assumed that making foam cover is very easy, all I need to do is join the cut fabrics using straight stitches. I really thought that straight stitches are the easiest, but I was wrong because mine were really crooked. Hah! More practice! After 4 hours, the bed cover is done, and it perfectly fits our queen size foam. All smiles here, because I managed to attach the zipper correctly on one side of the cover. Yippee! to beginners luck!